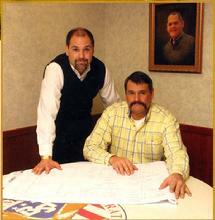 Building Systems was founded by Jim Schaaf, along with son, Tim, in 1984. 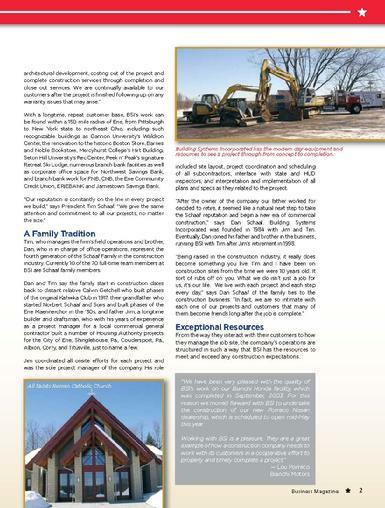 As the company began to grow, son Dan joined the team. Today, Team BSI is proud to boast 70+ members. 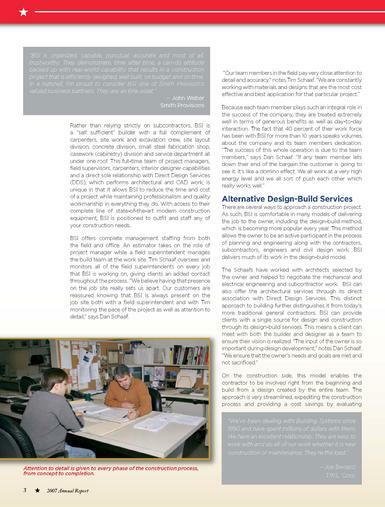 In recent years we have added the design-build method to our capabilities. This allows the owner to be actively involved in the project, from the very early develpment stages all the way through to completion. We live our motto every day ... "we build our reputation from the ground up ..." and our satisfied customers are truly our finest advertising. 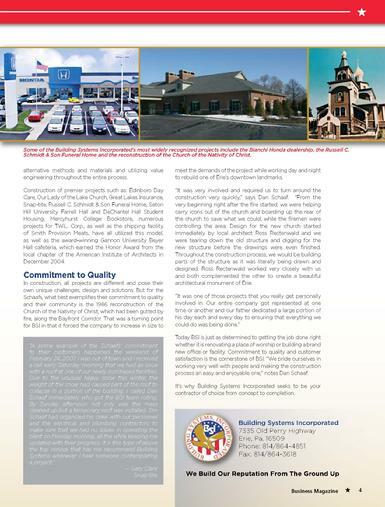 We are humbled whenever we drive around Erie and surrounding areas, seeing the quality BSI stamp on so many landmarks: beautiful banking facilities, including branches for Northwest Savings Bank, ERIE Bank, Jamestown Bank ... churches such as the Old Orthodox Church of the Nativity; The Cathedral of Saint Paul; All Saints Church; Our Lady of the Lake Church ... auto dealerships Bianchi Honda and Porrecco Nissan ... dormitories, educational and athletic facilities at Gannon University; Mercyhurst University (Erie Main and North East campuses); Seton Hill University ... medical facilities and offices for Hamot Health Systems; LECOM; several fire department facilities; various doctors, dentists and veterinarians ... restaurants ... office buildings ... apartment buildings and housing complexes, including St. Mary's Asbury Ridge Carriage Homes and several H.A.N.D.S. projects ... many industrial and manufacturing plants for clients like Smith Provision, Parker SnapTite, LORD Corporation ... just to name a few. 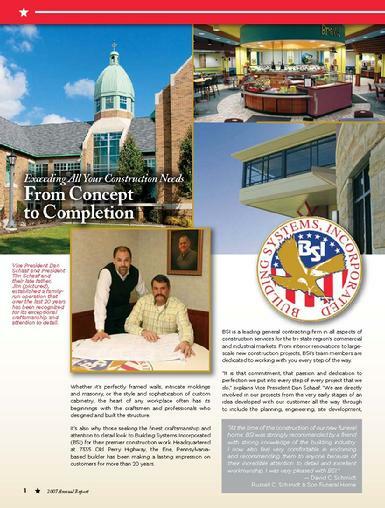 Visit our Photo Gallery where we proudly showcase some of our completed projects; and our Job Historyto learn more about what's currently going on at Team BSI. Click on our Company Directory to learn more on who is Team BSI or to contact individual members. Map a route to our offices or see how to reach us on the Contact Us page.